Public redress of grievances as a cornerstone of 'Minimum Government, Maximum Government'. In accordance with the estimates made by the National e-Governance Division (NeGD) of the Department of Electronics and Information Technology (DeitY), there are more than 3500 different e-services being offered by various Central Ministries and State Government. The Department of Administrative Reforms & Public Grievances (DARPG) is the chief policy-making, monitoring and coordinating department for public grievances arising from the work of Ministries/departments of the Government of India. The DARPG had developed a framework called 'Sevottam', which essentially means Excellence in Public Service. Unde this scheme, every Government Department must have a Citizens Charter outlining the main services with service standards and timelines, a Public Grievance Redress Mechanism, and a system with assessment and improvement of Public service delivery standards. Emphasis is also on service delivery enablers comprising customer feedback, employee motivation and infrastructure. DARPG has put in place a 'Centralized Public Grievance Redress and Monitoring System' (CPGRAMS) since 2007. It is a flagship initiative by the Government of India to address and monitor the resolution to redress public grievances in a centralised, transparent, accountable and efficient manner. The Government of India had proposed the Right of Citizens for Time Bound Delivery of Goods and Services and Redressal of their Grievances Bill, 2011 in the Lok Sabha in December 2011. The Bill provided for the right to time bound delivery of goods and services to every citizen, mandatory publication of citizen’s charter and penalty on defaulting officer and compensation upto the same amount to the applicant. However, the Bill lapsed. As mobile phones are becoming increasingly important in e-governance, the government has recently launched a Unified Mobile Application for New-age Governance (UMANG). Developed by Ministry of Electronics and Information Technology and National e-Governance Division, UMANG provides a single platform for all Indian Citizens to access pan India e-Gov services ranging from Central to Local Government bodies and other citizen centric services. My Gov.in is a unique and cutting edge participatory governance initiative involving the common citizen at large, initiated by the Prime Minister in 2014. The platform is now an integral component in dissemination of information and seeking public opinion. The Lokvani project in Uttar Pradesh, which helps citizens make their grievances related to government services in an easy manner and also get their redress within 15 days of filling complaint through kiosk centers. Also initiated is the Jansunwai or e-Samvad Portal fully dedicated for grievance redress through e-Governance. The Andhra Pradesh online Portal ‘aponline.com’ is one of the most comprehensive State Governmentset ups for an e-interface between the Government and citizens with an integrated grievance redress channel as part of its real-time governance initiative. The channel is called People First or ‘www.meekosam.ap.gov.in’ and a People First mobile app was launched in September 2017. Also e-Pariharan has been launched in Kerala to facilitate online lodging of vomplaints. Complaints can also be received through SMS, WhatsApp, email,etc. The Integrated Grievance Redressal Mechanism (INGRAM) is a portal launched by the Department of Consumer Affairs to create a platform to allow consumers to lodge complaints regarding consumer dissatisfaction. It has brought all stakeholders including consumers, government agencies, private companies, regulators and call centres onto a single platform. There is a need for capacity building of service delivery officers, knowledge updation, streamlining processes, proper monitoring and attitudinal shift amongst Government staff towards more transparent and accountable governance. Awarness is also required among the public about their rights under the Right to Services Act. The system and processes for filing of a request and appeals under the Act also need to be simplified and innovative processes designed for providing alternative means of filing through e-Governance. Besides, institutional mechanisms need to be set up to engage withcivil society and media for seeking constructive cooperation in increasing awareness and providing support to the public in hassle-free filing through system re-engineering. These issues need to be addressed on priority by the Central as well as the State Governments. Adoption of ICT has made significant strides at various levels in Government. Starting from biometric attendance of Government employees, digitizing database of beneficiaries across all schemes, seeding with Aadhaar numbers, using PoS machines for beneficiary authentication and finally transferring the funds to Aadhaar linked bank accounts have made marked improvements in the way the services are delivered to the public. Aadhaar-enabling benefits include removal of leakages, duplicates, fakes and fhosts from the list of beneficiaries. Under the Direct Benefit Transfer scheme (dbtbharat.gov.in), subsidies have already been initiated for LPG and food, and a different beneficiary model has been rolled out for fertilizers in 2017. The Pradhan Mantri Jan-Dhan Yojana scheme is also more effective with Aadhaar linkage. CPGRAMS – All States and sub-States levels which need to be linked to the portal. It should be available in all major vernacular languages. 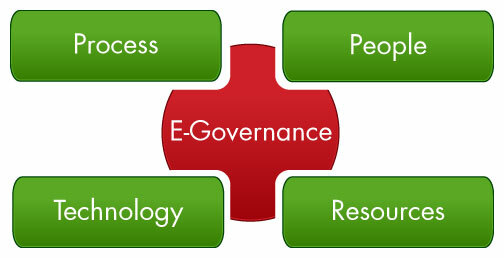 All G2C services must move online (front-end and back-end), eliminating the need for the public to visit anyoffice or interact with a Government functionary for service requirements such as issuance of licenses, permissions, certificates, registration, social benefits, etc. The Public Services Delivery Act has already been enacted in 20 States and more States may need to follow suit. Widespread dissemination and public citizens awareness of their rights and opportunities for redress, initiatives such as Jaago Grahak Jaago must become mainstays. Further, under the CONFONET scheme, all consumer for a should be computerized and net worked to enable online dissemination of information and ensuring quicker disposal of cases.